Reduces acne imperfections and skin irritations. 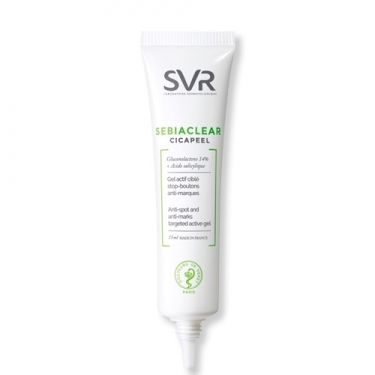 DESCRIPTION: Sebiaclear Cicapeel Gel from SVR is a soothing care that helps eliminate the imperfections and skin irritations caused by acne. 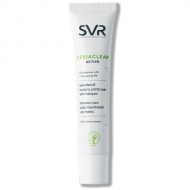 It softens imperfections such as marks, pimples and blackheads. Uniformizes complexion for smooth skin. Ideal for oily, acne-prone skin. 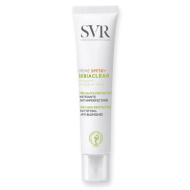 Refreshing texture, high tolerance, hypoallergenic, without parabens. Fresh gel formula with salicylic acid and gluconolactone (at 14%) for anti-imperfections, softening and antibacterial action. The skin becomes smooth, even and without imperfections. Apply, 2 times, in the area of the skin to be treated, with a gentle massage.